Blom just announced the release of their BlomURBEX (Urban Explorer) SDK. 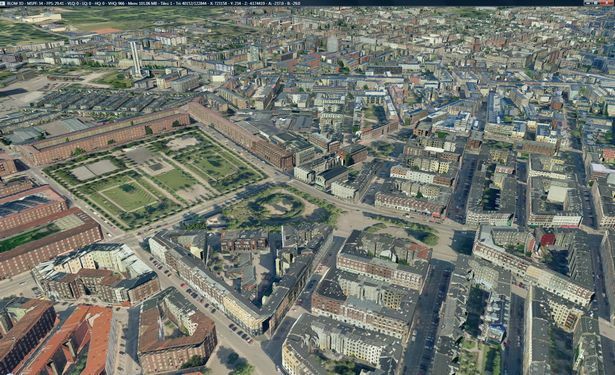 It includes access to high resolution ortho and SEAMLESS birds eye imagery of over 1000 european cities. 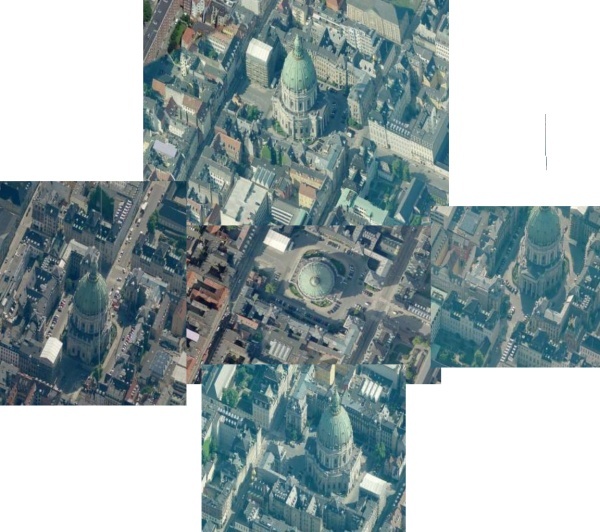 These are the same images as Microsoft uses on the Virtual Earth platform, but the unique is that they have managed to seamlessly stich the birds eye imagery together seamlessly, making the navigation much more intuitive. They also released a free iPhone/iPod Touch app "Demyko" that can be used to navigate ortho images and North/South/East/West facing oblique imagery with the touch of a finger. I can´t say I like the fancy way they show the tiles (they rotate in), but the dataset is impressive. My former employer just announced that they have mapped all of Denmark's buildings and terrain in 3D. Denmark is small, but it’s still an amazing feat, considering its roughly 2.5 million buildings! The modeling is mostly based on LIDAR data. I’ve seen several attempts to do this, but they have always resulted in either ugly or oversimplified buildings with flat roofs, or even worse made up of so many redundant points that no PC were able to show more than a few buildings at a time. This is the first fully automated attempt I’ve seen that comes out with a convincing result, and the scale of this is breathtaking. Considering they also have full terrain and surface model coverage, full high resolution ortho imagery coverage and lots of Pictometry (Birds Eye) imagery they can drape onto the facades, this makes for an impressive 3D model. Hopefully there will soon be some more detailed images to share after the unvailing next week at the Danish geodata convention, but below are a few images I was able to find from a danish news site and an ad. You can also find more details at Asger's blog.